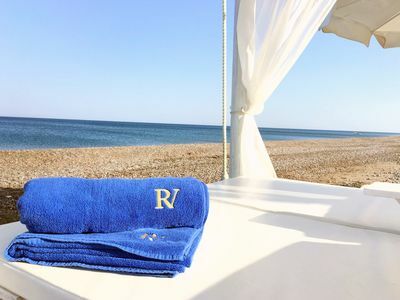 An excellent place, full of character, to enjoy the best Greece offers: sea and countryside + Acropolis and Athens city center, all from a most convenient base. 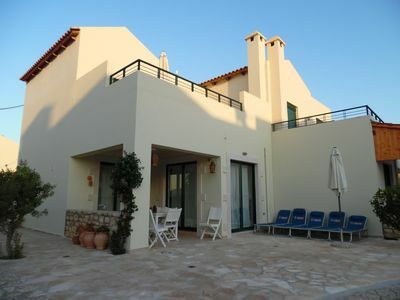 It is located in a place looking like a far Aegean island, feeling like you are away from it all. 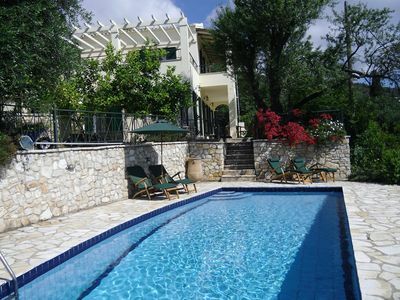 You can't believe this place is only 50 km from down town Athens! 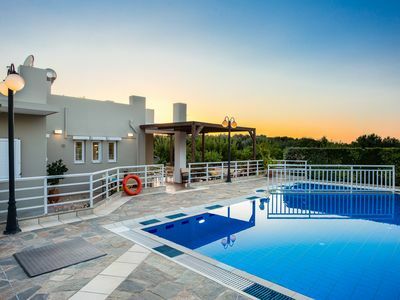 Acropolis, a World Class monument, its famous new museum, all major archaeological sites, the picturesque old Plaka and the modern city are at a little more than an hours reach, along with numerous cultural and recreational possibilities. 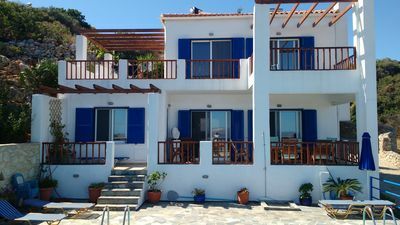 Schinias in Marathon where villa is located, is a top rated beach of Athens, boasting more than 6 km of sandy beach, with crystal clear and mostly calm waters, and a rare cone forest reaching to the water edge! 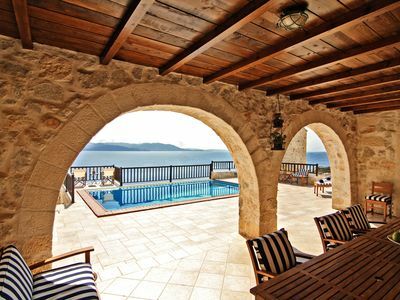 The Villa itself, is a rare example of traditional architecture, built with stones from its own land, in an inspired 'castle like' design. The intended abudant use of natural and low treated materials, like stone, wood and iron, create a feeling of immediacy, comfort and inner relaxation in a way that few places can do. 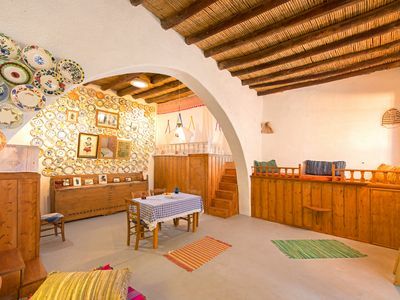 It is tastefully decorated in a country but luxurious manner, with antiques, hand crafted wooden and iron furniture, that invite you to unwind in casualness comfort and style. The house is built in the gated settlement of Judges & Attorneys. 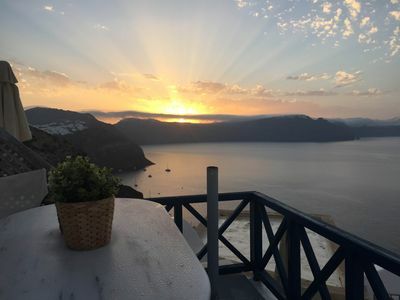 It is positioned on the cliffs, 50 meters above the sea, providing privacy, and great views to the picturesque bay underneath and the Aegean sea. 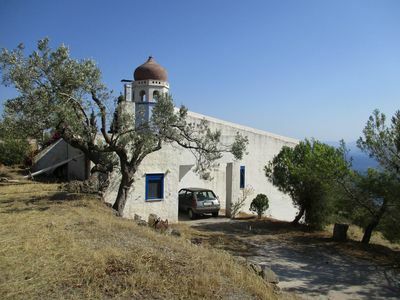 Schinias, belongs to the municipality of Marathon, where the famous ancient battle took place and where the world renowned Marathon run originates. 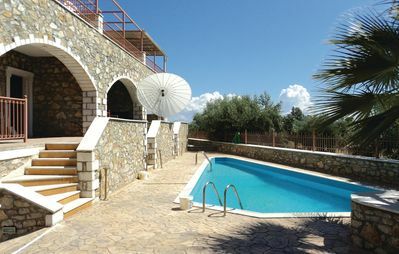 Villa Periklis! 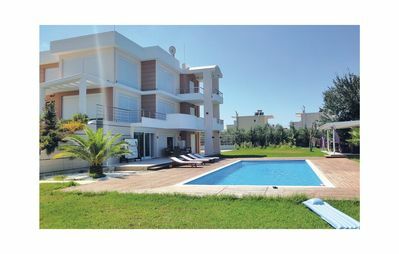 1,5 Km to sandy beach & restaurants, children's pool, car free! 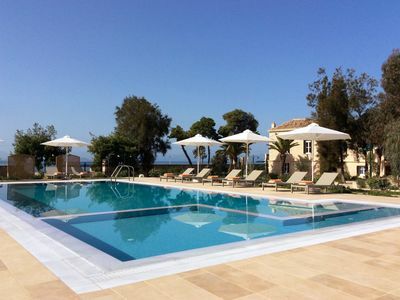 Villa Vithania, a heritage listed, luxury home in Aegina. 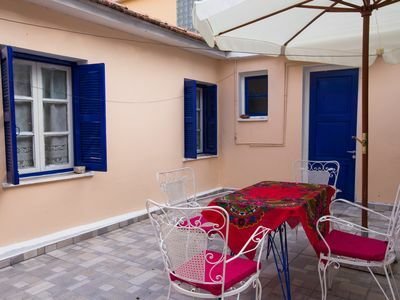 Amazing Full Apt Downtown Plaka.145sq.m in the heart of AthensCity Center.